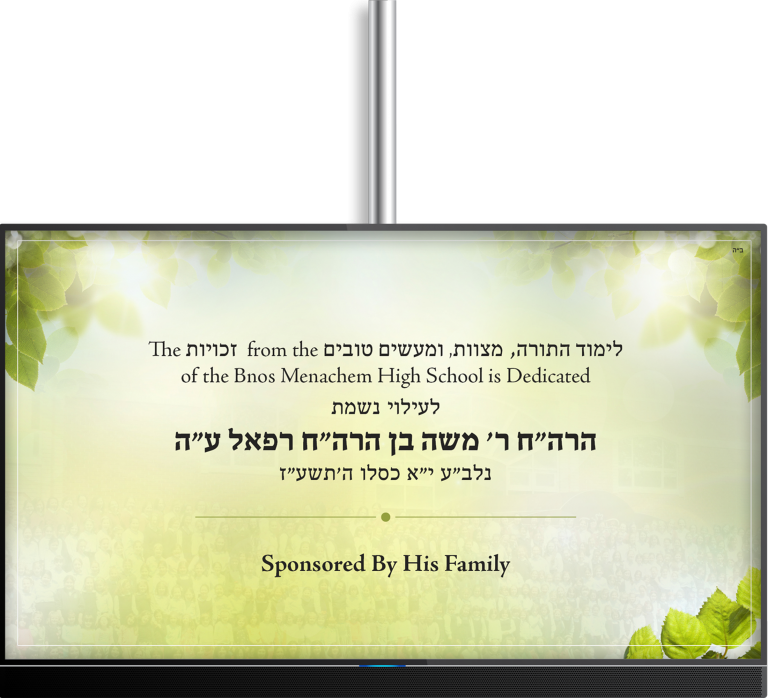 Dedicate a day of learning and Mitzvos of the entire Preschool, Elementary, or High School department at Bnos Menachem School for Girls on any day of your choice. This is a meaningful way to recognize or celebrate a day that’s special to you and your family. You can choose to dedicate either one, two or all three departments for any event. It may be a birthday, an engagement, a yartzeit, for a complete recovery, or any other occasion. It will be a great z’chus (merit) to have our students recite blessings, prayers and learning in honor or memory of a loved one. When a Day of Learning is sponsored, a personalized sign with the dedication is featured at the entrance of the Bnos Menachem Building.